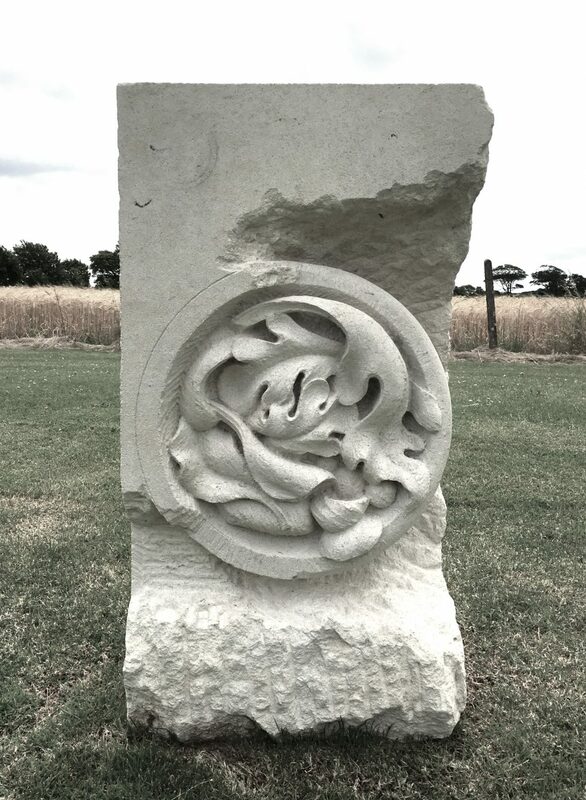 In 2013 I started working with Sean Lynch on the development of aspects of his exhibition A blow by blow account of stone carving in Oxford. 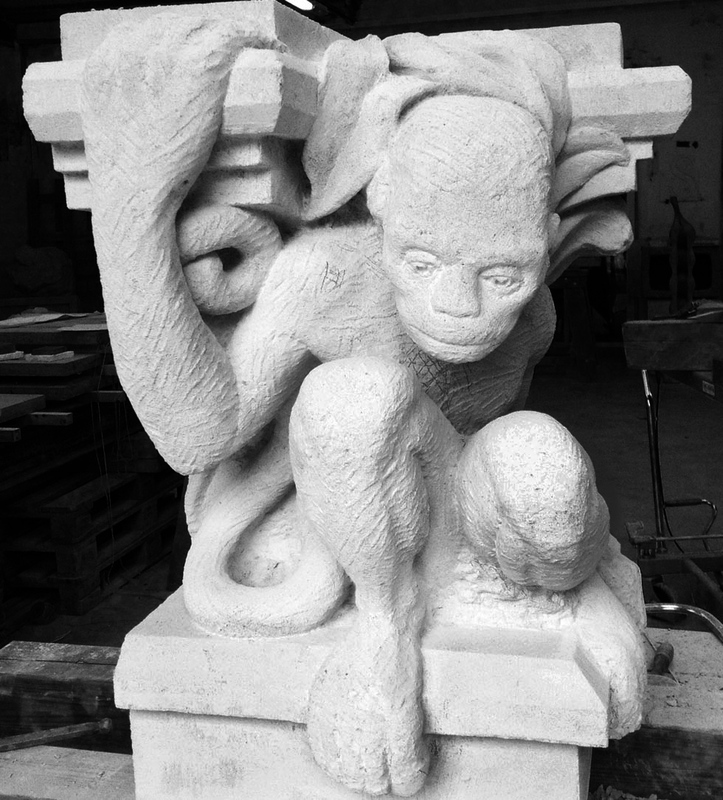 It lead to the commissioning of a carved monkey for the exhibition based on the working ethos of the O’Shea brothers. The O’Sheas produced work outside of the prescribed mode of Victorian architectural sculpture. Their work was direct, innovative and free-spirited and inspired the approach taken on this project. The exhibition was first shown in the Hugh Lane Gallery Dublin, and has since been shown in Modern Art Oxford, CAPC musée d’art contemporain, Bordeaux and The Model, Sligo. Further work inspired by the O’Shea brothers includes Washed Salad, which started at the Modern Art Oxford gallery in 2014 and was completed at D15 Studio, Dublin 2016. Working directly from exotic specimens in the Oxford Botanic Gardens, the O’Sheas carved elaborate arrangements of plants never before rendered in stone. In 2014, hungry and without access to the botanic gardens in Oxford, I was seduced by the exotic offerings in the chilled section of a supermarket adjacent to the art gallery. Italian Salad, washed and ready, provided not only lunch, but the opportunity to delight in sculpting the forms, shapes and textures these bagged specimens inspired.